Chem-Dry® has become one of the world’s largest furniture and carpet cleaning services through the combination of innovative research & technology and premium equipment & solutions. Chem-Dry Four Seasons takes pride in holding to the same traditions and standards. 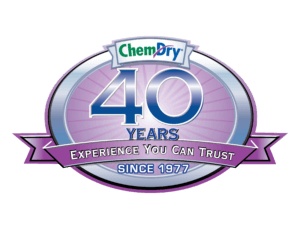 Here at Chem-Dry Four Seasons we follow the same principles and methods used by Chem-Dry® franchisees throughout the world that have proven to be highly-effective. Hot Carbonating Extraction improves upon the typical hot water extraction (steam cleaning) for a deep clean that dries quickly. We are the area’s industry-leaders carpet and upholstery cleaning services. Chem-Dry® cleans an estimated one billion square feet of carpet each year throughout the world. You can prolong the life and performance of your furniture and carpets with routine professional cleaning. The experts at Chem-Dry® will help you maximize your investment with fast and efficient service that delivers quality results. For the industry’s premier services, choose Chem-Dry Four Seasons and the difference will amaze you. To ensure customer satisfaction, we refer to our brand promise and stand behind our quality service 100 percent. The Carpet & Rug Institute has even awarded us the Badge of Approval indicating our dedication to green cleaning! We will delight our customers with the cleanest and fastest drying carpets and upholstery in the industry. Our products will be expertly applied so as to be gentle on carpets and property, non-toxic for people and pets, and our services will be delivered by trustworthy, friendly professionals.